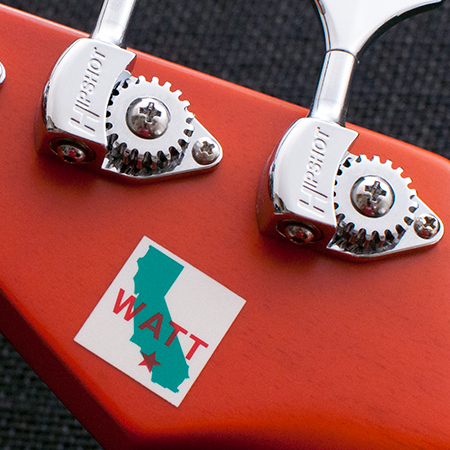 It all started for Mike Watt in San Pedro, California. 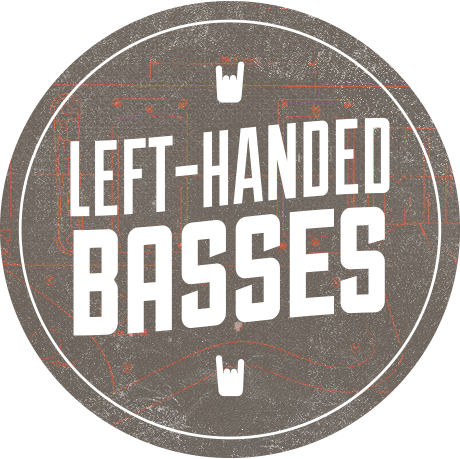 That's where he met D. Boon and George Hurley – who would later form The Minutemen – a band that would inspire legions. 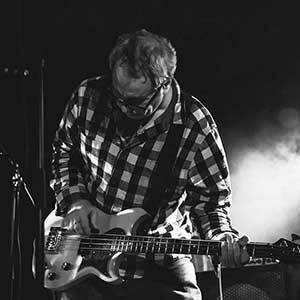 Watt went on to form fIREHOSE, and play bass for punk royalty with The Stooges, as well as hundreds of projects with musicians around the world. 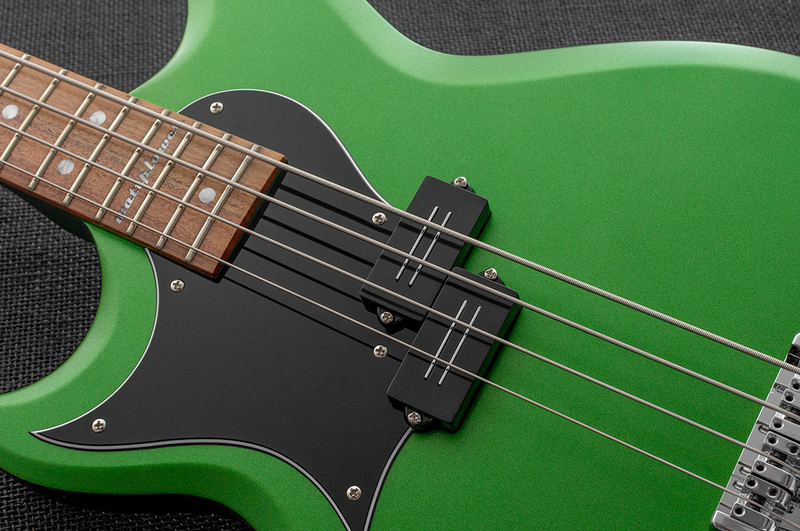 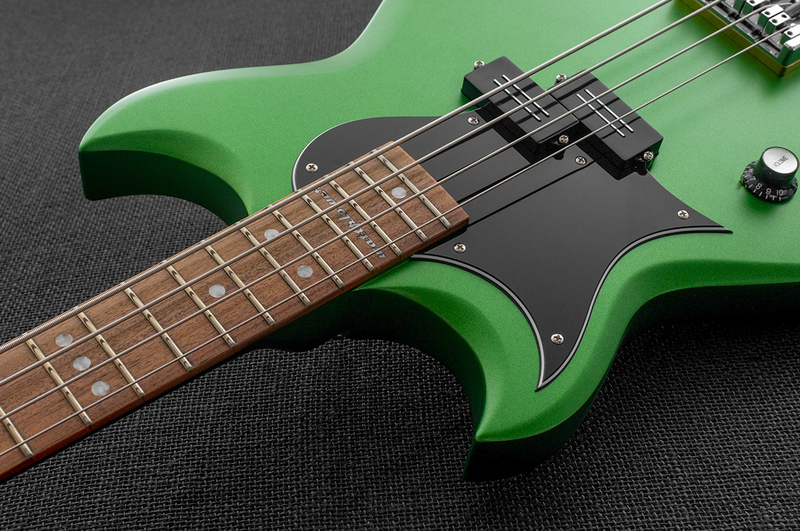 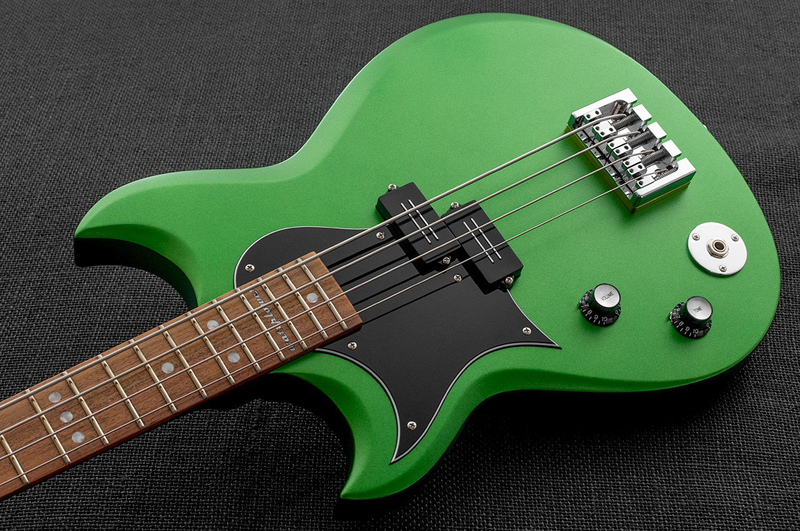 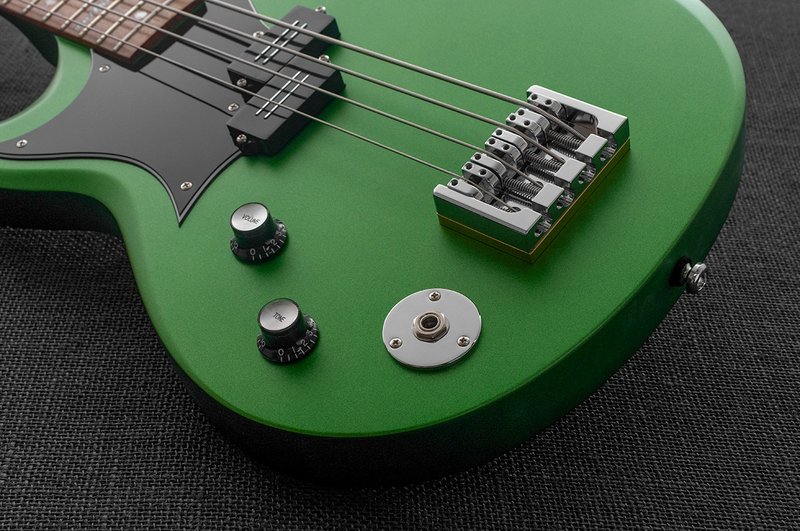 The Reverend Mike Watt Signature Wattplower is the result of a four-year exploratory between Watt and Reverend to produce a bass guitar with the perfect balance of sonic explosiveness and supreme playability, and ultimately looks uniquely Watt. 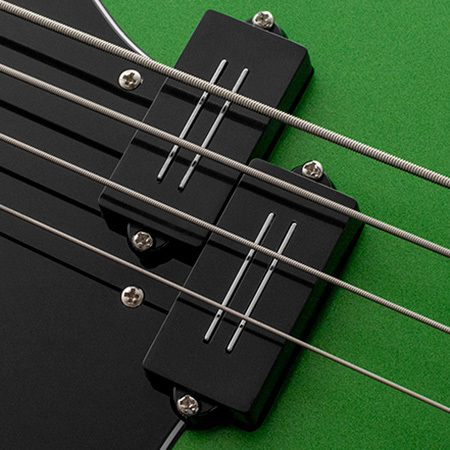 The 30" scale, compact size, along with touches like the Luminlay dots on the side of the neck are perfect for any player used to dark stages and long sets. 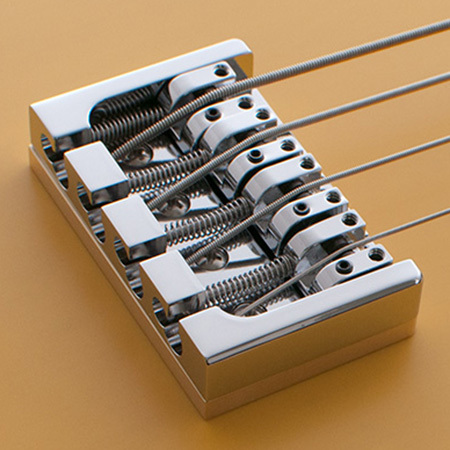 The bridge is a Hipshot A Style Brass for great intonation and lots of sustain. 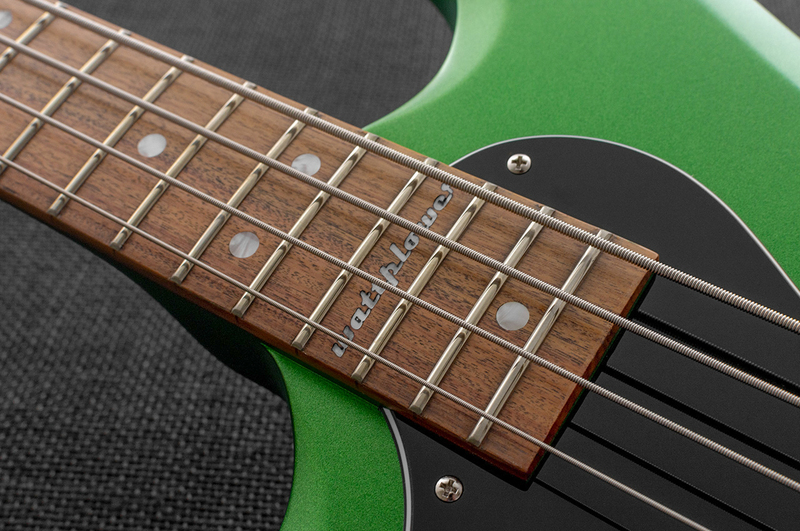 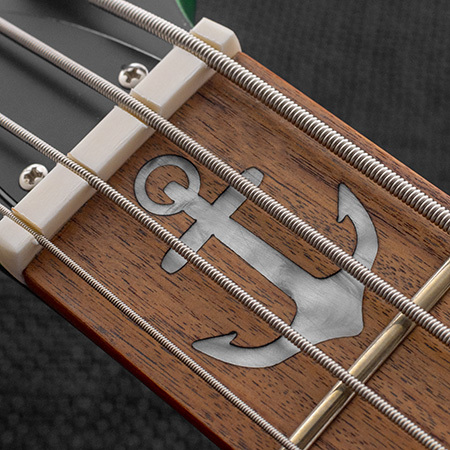 And because it's Watt, there's an anchor inlay at the first fret and "Wattplower" at the seventeenth. 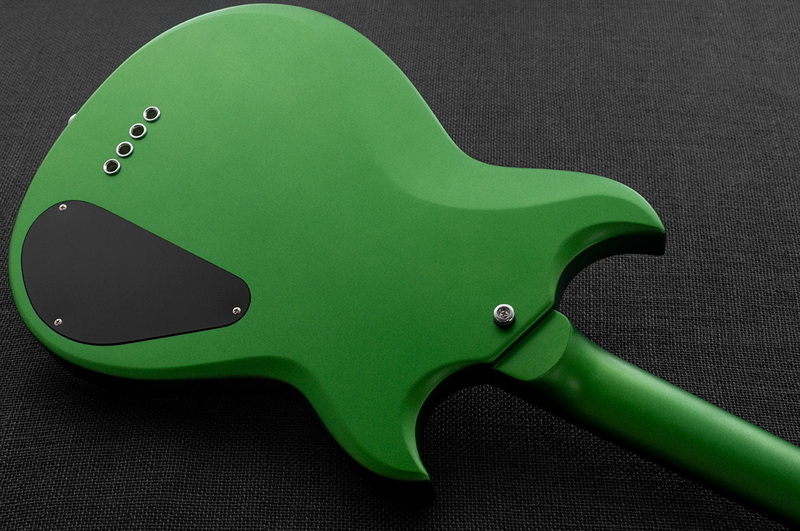 This one is worth the wait. 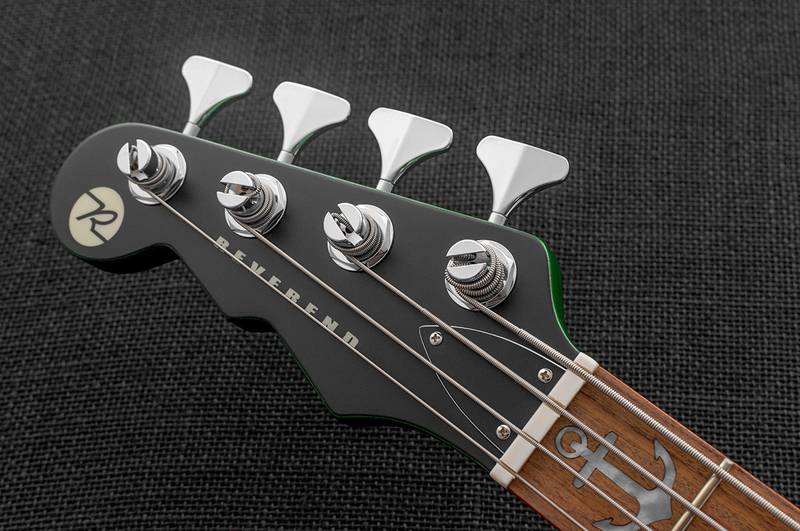 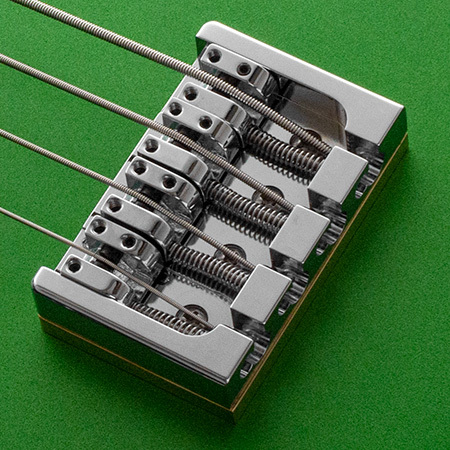 This adjustable spacing bridge allows for more sustain and has a string thru or top-load option. 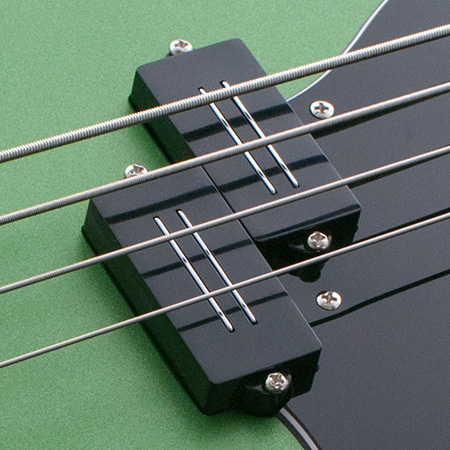 Coupled with a Brass bridge spacer, the sustain on this bass is wicked! 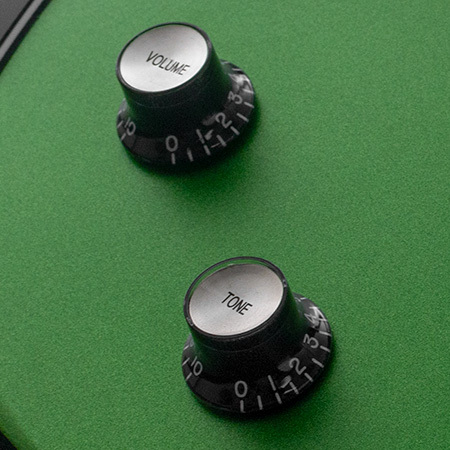 These vintage volume and tone knobs have the numbers right on them, with an extra triangle pointer, so you can see where your settings are all the time. 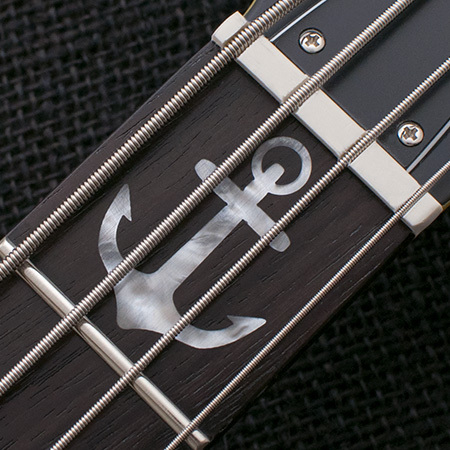 The Anchor Inlay at the first fret is a tribute to Mike Watt's father, who was a sailor in the Navy. 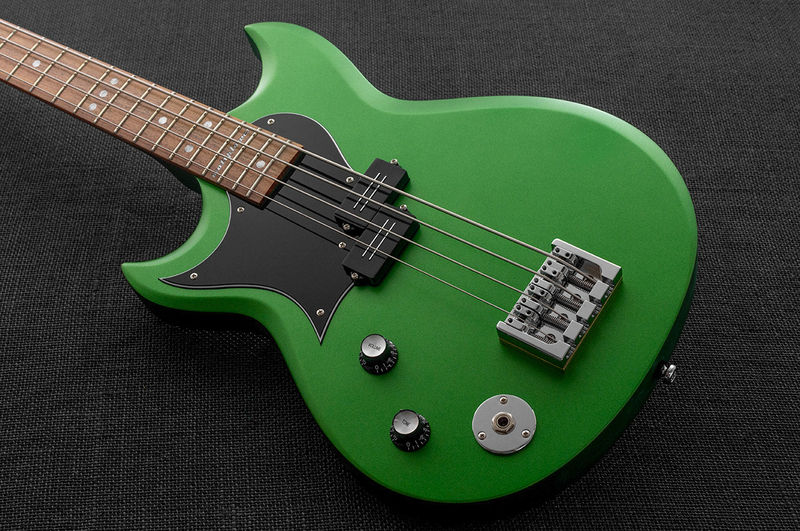 Mike Watt wanted high visibility side dots. 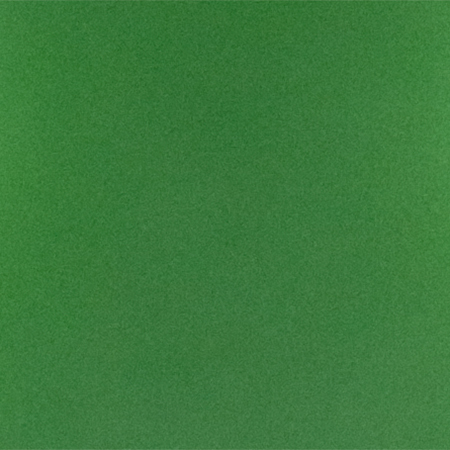 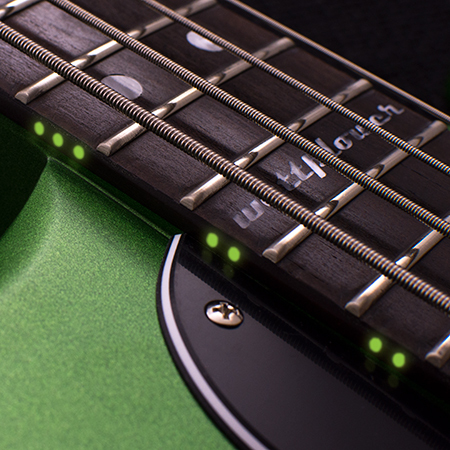 These glow-in-the-dark dots by Luminlay emit a soft yet bright green light, making neck navigation on a dark stage easy! 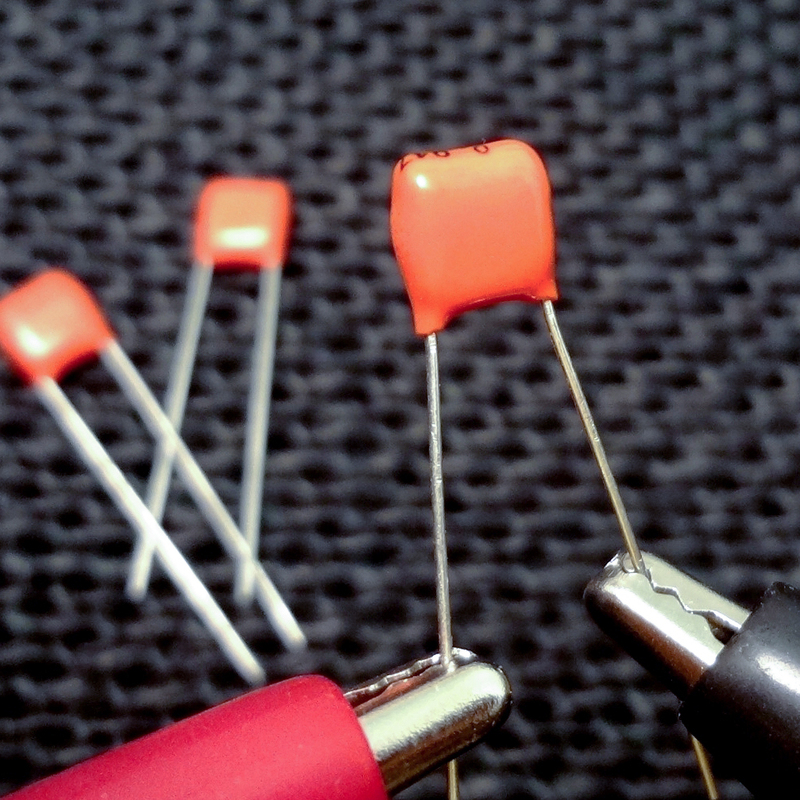 For extra brightness, charge the luminescent dots with a small LED flashlight. 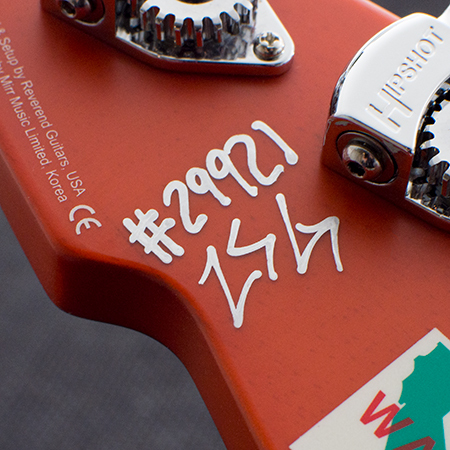 Mike Watt prefers front mounted jack plates. 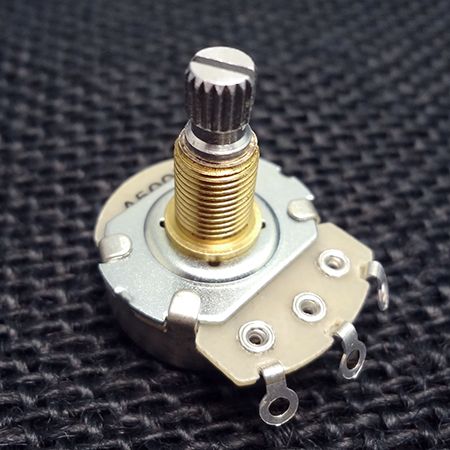 But we knew a standard issue jack plate wouldn’t survive. 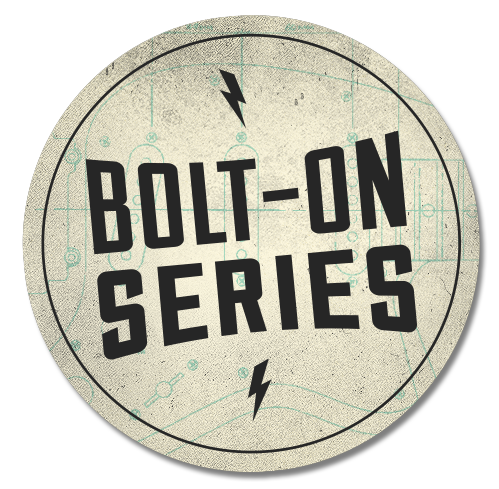 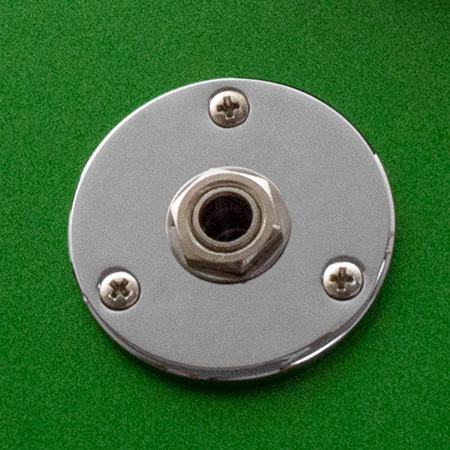 That’s why we designed this custom jack plate, featuring thick steel and an oversize diameter, that won’t bend, crack or fail in the heat of battle. 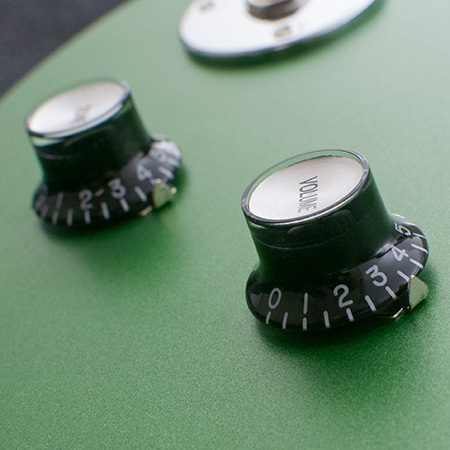 We use Alpha control pots with a +-10% rating, while a typical pot is +-20%. 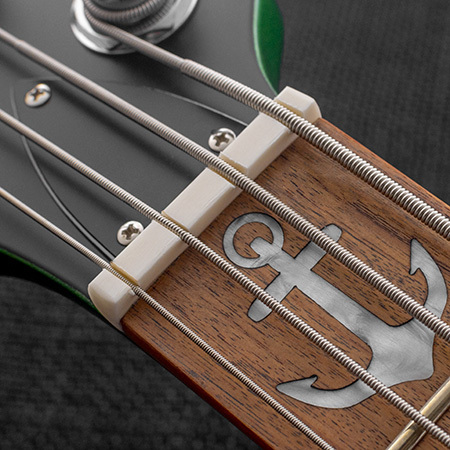 Our pots are built to tighter specifications, making them more consistent. 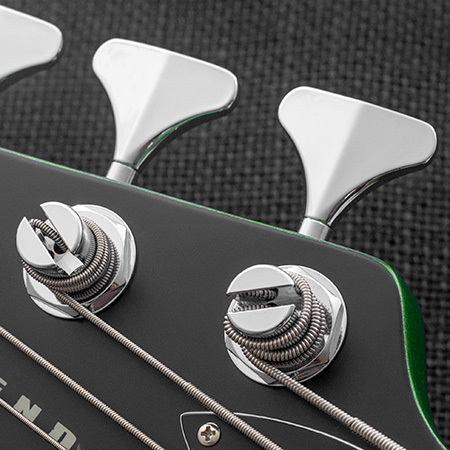 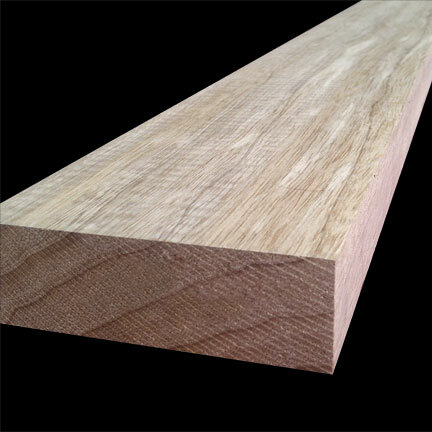 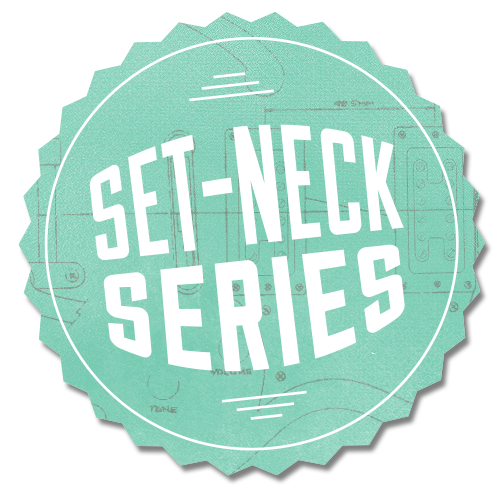 Typically used in expensive boutique guitars, but standard issue in all Reverends.